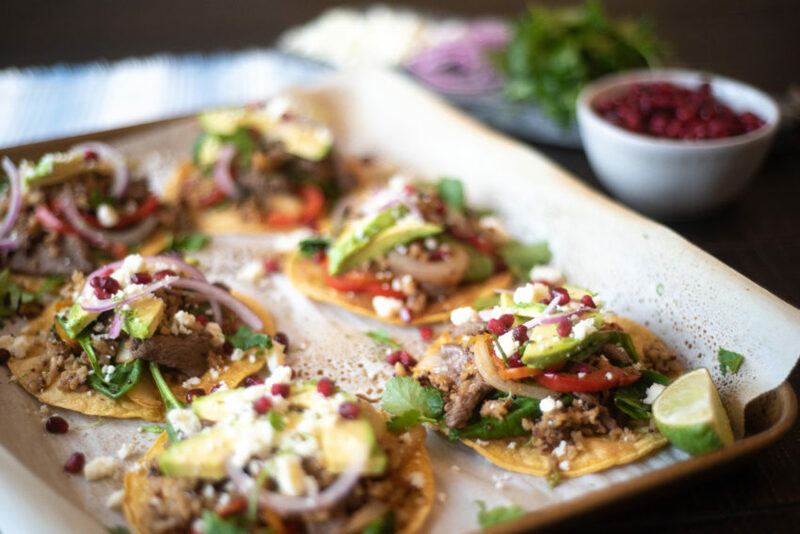 One of the easiest weeknight dinners is a tostada, because you can use whatever toppings you have on hand, and with a few simple ingredients, you end up with a world of flavors. You probably know by now that I partner with Unilever. I was honored to be chosen among a handful of dietitians from around the country, to be an Agent of Change. As such, I work with an incredible team to carry out Unilever’s mission to promote food that tastes good, does good and doesn’t cost the earth. It has been such a joy to have this role! After it cooks, those grains get all nutty, chewy and delicious. Then fold in 3 handfuls of fresh spinach. Don’t worry…the spinach slightly wilts against the heat of the grains. Tag me on social if you make this…I love to see what you create! 1. Spray a skillet with nonstick cooking spray and heat to medium-high. 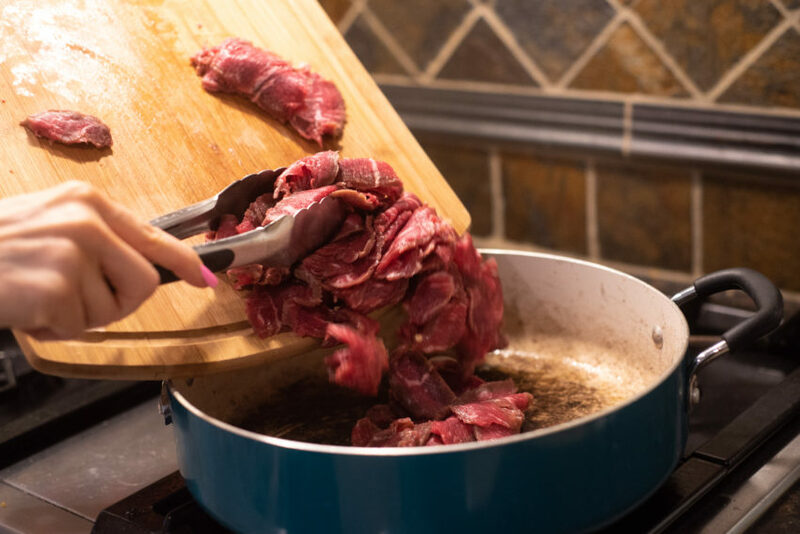 Once it is fully hot, add sliced steak. Sprinkle 1/4 teaspoon kosher salt on steak and sear steak until it’s fully cooked. Remove to a plate. 2. 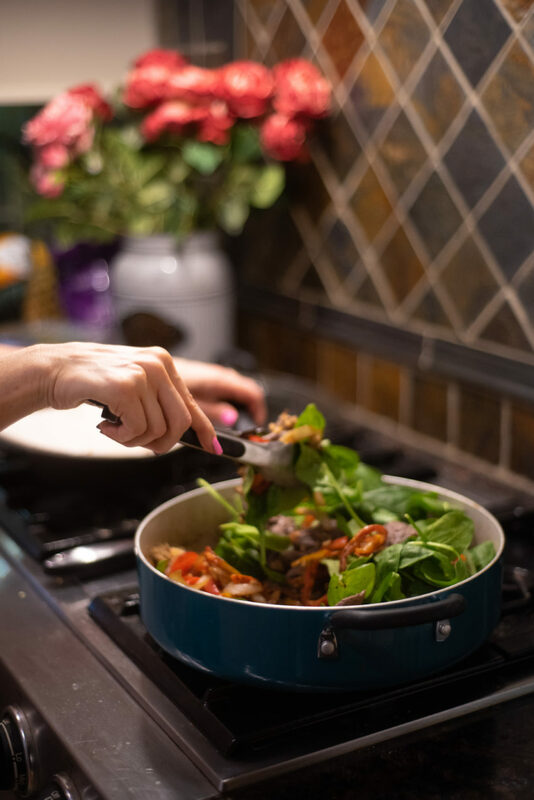 Give the skillet another light coating of olive oil cooking spray and add onion and bell peppers. Sauté for 5-7 minutes until the veggies are lightly browned. Remove veggies to the same plate steak is on. 3. 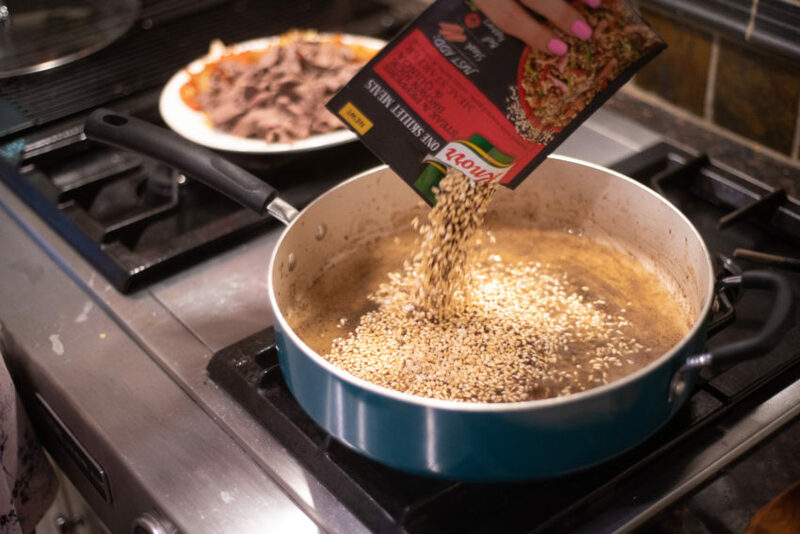 In the same skillet, add 2 cups of water and the packet of Knorr® One Skillet Meals Steak & Peppers with Brown Rice and Quinoa. Stir and bring to a boil. 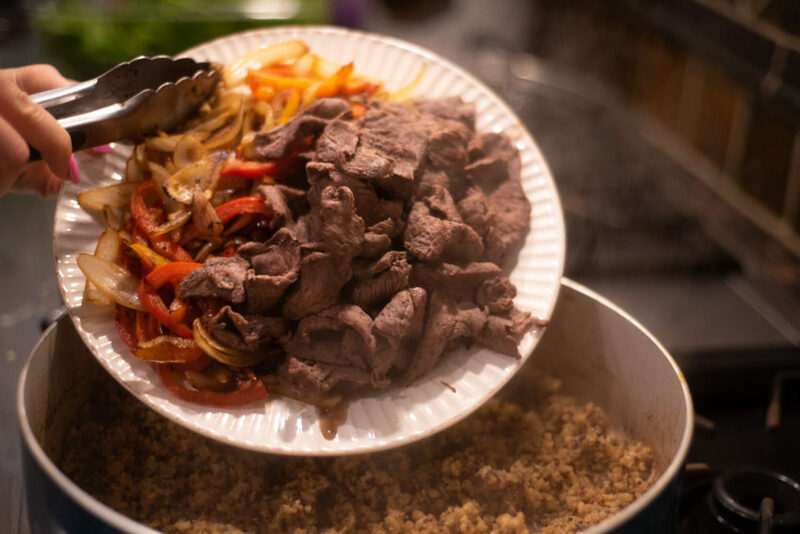 Immediately reduce heat to a simmer, cover and let it cook for 22 minutes. 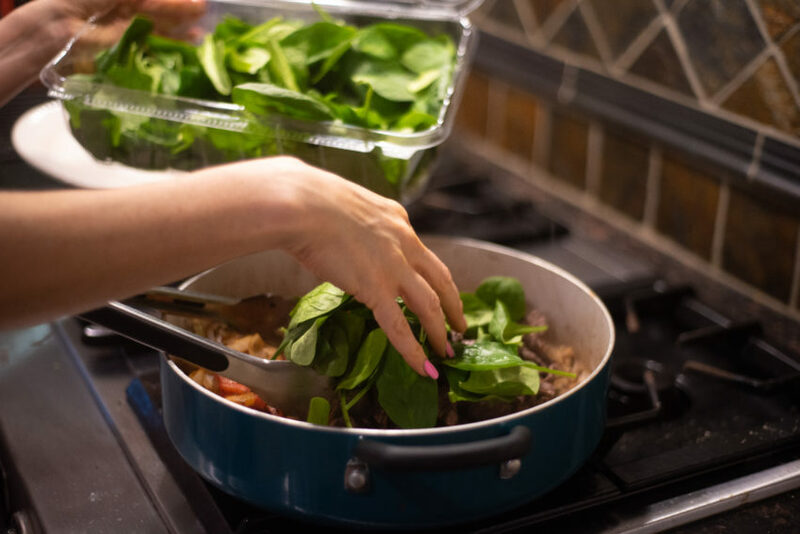 Remove lid, fold in fresh spinach, and add back in steak, onion and peppers. 4. Heat oven to 425º. 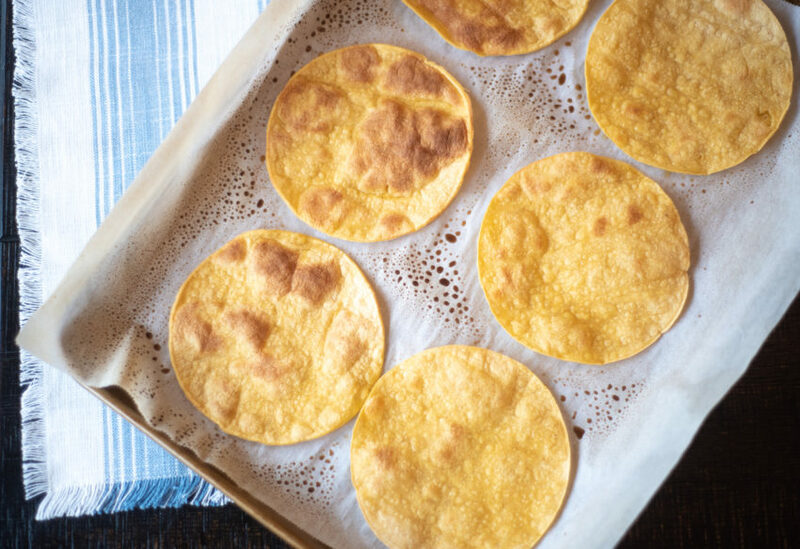 Place corn tortillas on a baking sheet and lightly spray both sides with olive-oil cooking spray (or brush lightly with olive oil). 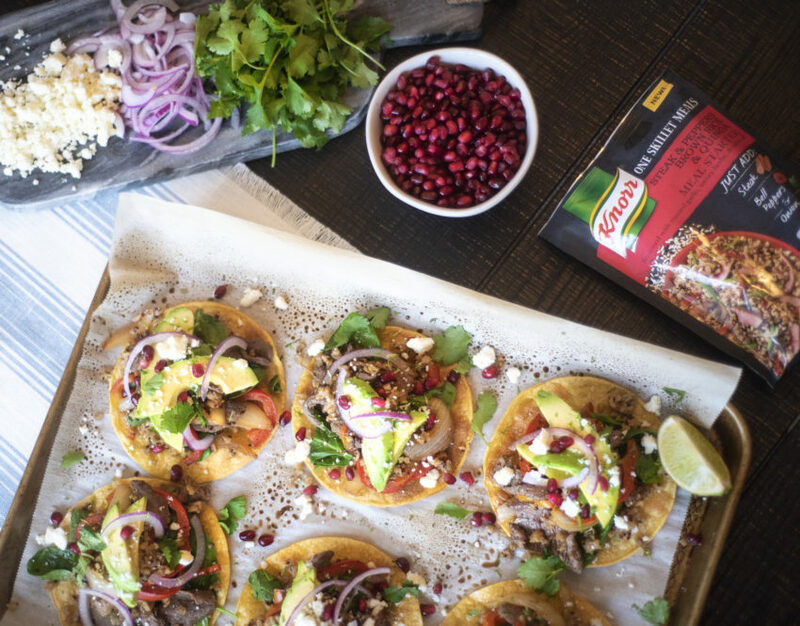 Cook for about 8 minutes, until the tortillas are slightly toasted. 5. 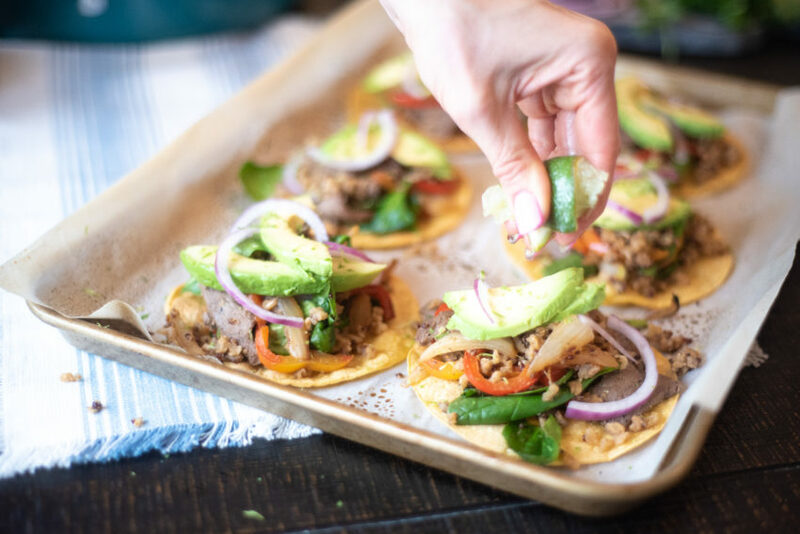 Remove from oven and top each tortilla with 1/2 cup of the steak mixture, then top each with a generous amount of avocado, lime zest, and a squeeze of lime. Serve and enjoy!